D‑TACQ announces a new range of data acquisition modules in the FMC formfactor. FMC provides modularity with low cost and high performance by providing a direct connection to the central FPGA device that forms the backbone of modern embedded systems. Analog Input module ACQ420FMC provides 4 channels of extremely high quality simultaneous analog input. The module features a new high bandwidth instrumentation amplifier and a 16-bit ADC per channel. The product features a high input impedance and four soft-switched input gain ranges. Sample rates of up to 2MSPS/channel are available. An 18-bit resolution variant is also available. 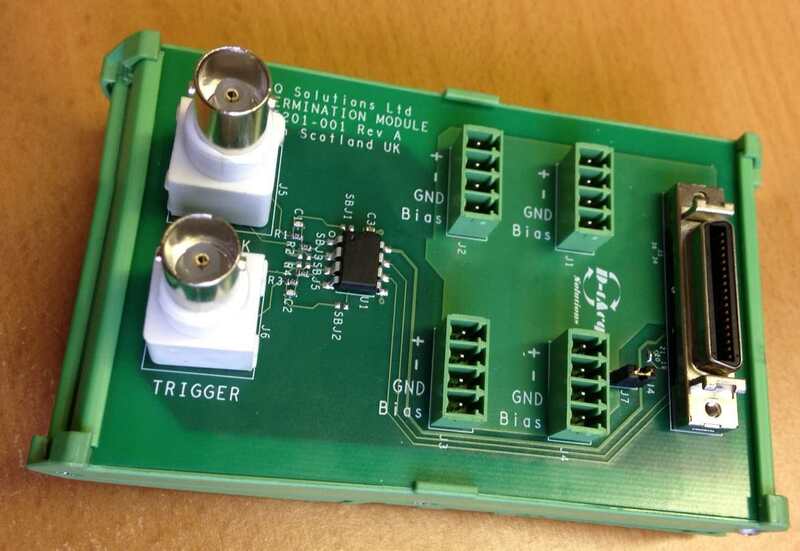 A pluggable terminal panel module ACQ420-TERM01 is provided to allow simple signal connection to the front panel. ACQ420FMC is shipping now to select customers. Analog Output module AO420FMC provides 4 channels of simultaneous analog output. This module features a 16-bit DAC per channel, and is capable of both high DC accuracy and AWG functionality to 1MSPS/channel. Building on our experience with 20-bit DAC systems, in addition, both 18-bit and 20-bit versions will be available. 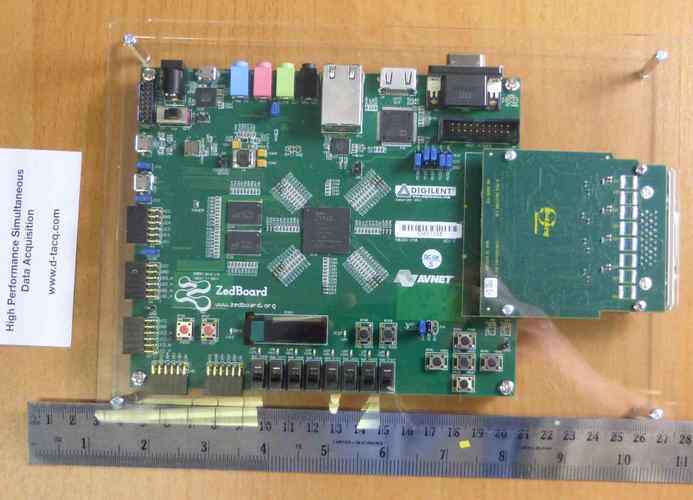 D‑TACQ provides glue logic and Linux device drivers for the Xilinx ZYNQ SOC. 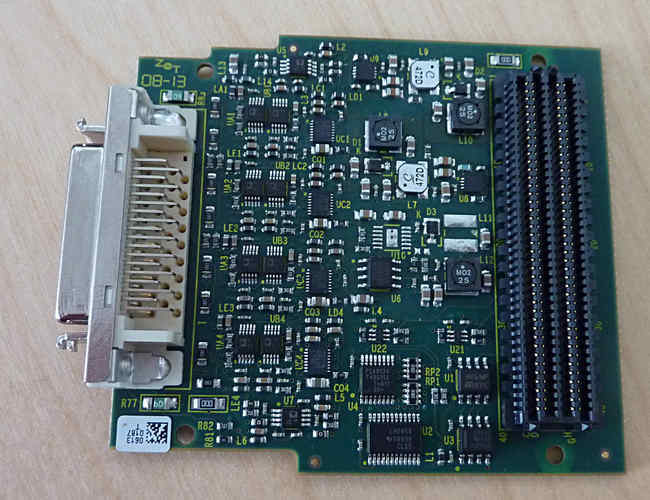 The cards can be demonstrated using the ZC702 and Zedboard evaluation boards, but for best results D‑TACQ recommends using our range of new carriers coming soon.